The Dean of Students Office works in conjunction with the Title IX Coordinator and Office for Institutional Equity, the Sexual Assault Prevention and Awareness Center, the University of Michigan Police Department, and various other Student Life units to foster a campus community that is safe for all members. Dean of Students Office staff engages in the development of sexual misconduct policies and complaint resolution practices, implements trainings for key student communities, and coordinates support and advisement for students who are impacted by incidents of sexual misconduct. Whenever necessary the Title IX Coordinator, in collaboration with Dean of Students Office, will implement interim measures, as may be appropriate for the individuals involved and for the larger University community. 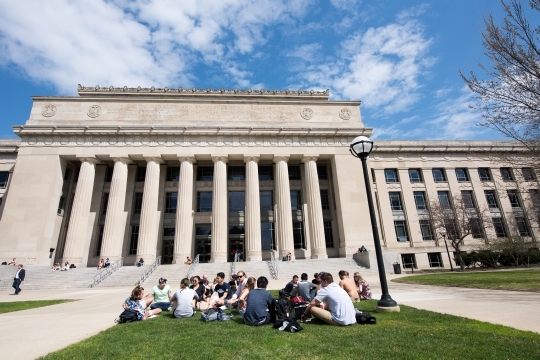 Interim measures may include separation of affected students’ academic and living situations or other measures outlined in the University of Michigan Policy On Sexual Misconduct by Students. These interim measures may be kept in place until the end of any review or appeal process. Any student who wishes to request interim measures due to a sexual misconduct concern or who would like to have existing measures modified should contact the Dean of Students Office. Interim measures may also be implemented for court-ordered separations such as personal orders of protection. Students impacted by Sexual Misconduct may find themselves temporarily unable to attend classes or meet assignment deadlines. When this happens the student can contact the Dean of Students Office directly or through a support person to request that their professors receive an academic notification. Notification emails are sent to professors to explain that a student is experiencing difficulties of a personal nature, is receiving support, and may be absent or need to submit work late for a short period of time. Academic notification does not provide a guarantee that absences will be excused or that a professor will make any adjustments. However, academic notification can be helpful verification of an extenuating circumstance.